AP Photo/John Locher Those who bust out of the World Series of Poker have other events they can now enter. LAS VEGAS -- While the Main Event field was dwindling down toward the bubble on Day 3 late Thursday night at the Rio, the Little One for One Drop was nearing its entry deadline and its number of players (and money raised for the World Series of Poker’s official charity) was increasing rapidly. That’s because this year the WSOP put the $1,111 buy-in Little One for One Drop on the schedule after the Main Event, kicking off with the first of three Day 1 flights on Wednesday. Players who were eliminated from the Main Event could then enter the Little One, which also featured unlimited re-entries. The odd $1,111 amount comes from the actual buy-in of $1,000 for a starting stack of 5,000 in chips and the additional $111 that is a donation to the One Drop charity (onedrop.org), which doubled the player’s starting stack to 10,000. When registration closed shortly after 10 p.m. PT Thursday, the Little One for One Drop had accumulated 4,360 entries, meaning that $483,960 had been raised for One Drop (assuming everyone donated the $111 to get their extra chips). Younger players and WSOP newbies who have played only the past seven years when the Main Event was the final event each year might not realize how common this is. “It used to happen all the time,” said Seth Palansky, vice president of corporate communications for Caesars Interactive Entertainment. “It last happened in 2008 when we ran the Casino Employees event after the Main Event. A few years before that we ran Last Chance tournaments as well, but those were non-bracelet events. Palansky said that the decision to host events (bracelet or otherwise) post-Main Event is sometimes out of tournament organizers’ control. “The boring answer is it is really about the convention center spacing,” he said. “We take [the Rio Convention Center] over for eight weeks, in essence, but it depends on the bookend bookings for other events of when we have to be out of here. So when they knew they had ample time and space, tournament organizers wanted to make the most of the opportunity, but without detracting from the Main Event. 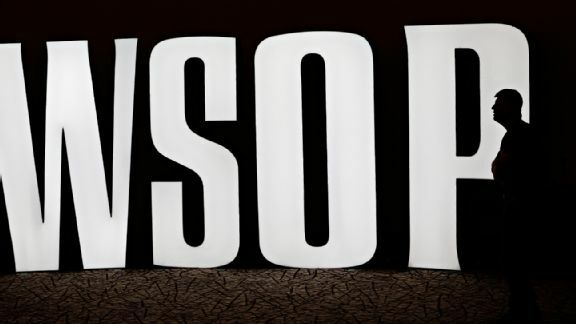 “Getting eliminated from the Main Event is the worst feeling for a poker player, so we wanted to give them something they’d enjoy,” said WSOP tournament director Jack Effel. “More than 5,000 players have busted out of the Main Event and have had a chance to enter the Little One for One Drop. But I don’t want to sell this short. It’s a cool event and it’s for a good cause. It’s actually a $1,000 deep stack because you get the 10,000 chips. There are plenty of people who came here to enter this instead of the Main Event. And it’s a bracelet event, so that’s something a lot of people want. Ben Keeline was among those entering the Little One for One Drop after being eliminated from the Main Event. Keeline had his dreams answered earlier in this year’s World Series when he won the $1 million first-place prize and his first bracelet in the Colossus II. He busted out of the Main Event on Day 1C on Monday. Keeline took a day off on Tuesday and entered the Little One for One Drop on Wednesday (actually twice, as he busted on his first attempt before rebuying). He built his stack up to 45,000 before dropping down a bit and bagging 34,100 in chips that he’ll take into Day 2 on Friday. “I’m happy to be involved in this charity tournament, as it’s awesome to see the poker community giving back,” Keeline said. “There’s so much money in the game that we really should do more. I was fortunate that I didn’t have to go straight to the Little Drop after getting eliminated in the Main Event, but I would have done it if I had to. Ty Stewart, executive director of the WSOP, alluded to that benefit of having a post-Main bracelet event in an earlier interview with my ESPN Chalk colleague Tim Fiorvanti, though he didn’t mention the competition by name. As the Little One for One Drop field was returning from break at 10:06 p.m. PT, the last of the entrants were receiving their chips after paying their $1,111 at tournament registration. Two guys, Shaun Lampan and Raymond Davis, were yukking it up about how they barely got into the field in time. Yep, one last chance to dream.